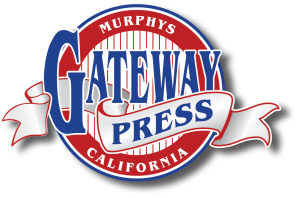 Gateway Press is a commercial screen printing company that was established by Walt Markus in 1981. We have in house Graphic Artists and all the printing facilities to do Bumper Sticker, Signs, Decals, Metals and other substrates. Along with our "Flat Bed" printing equipment we also do Textile printing and Offset paper stock printing. We have in house Full Digital Format capabilities with our 54" Cam Jet and our 54" Echo-Sol Jet printer.